Ergonomic design eliminates fatigue and discomfort for better posture and improved productivity. Scientifically proven to improve comfort and prevent back problems. Black polyurethane short seat design is tilted 10º forward, split into two parts and housed on silent blocks that form a triangle. This design helps rebalance the body naturally and improves blood flow in the legs. 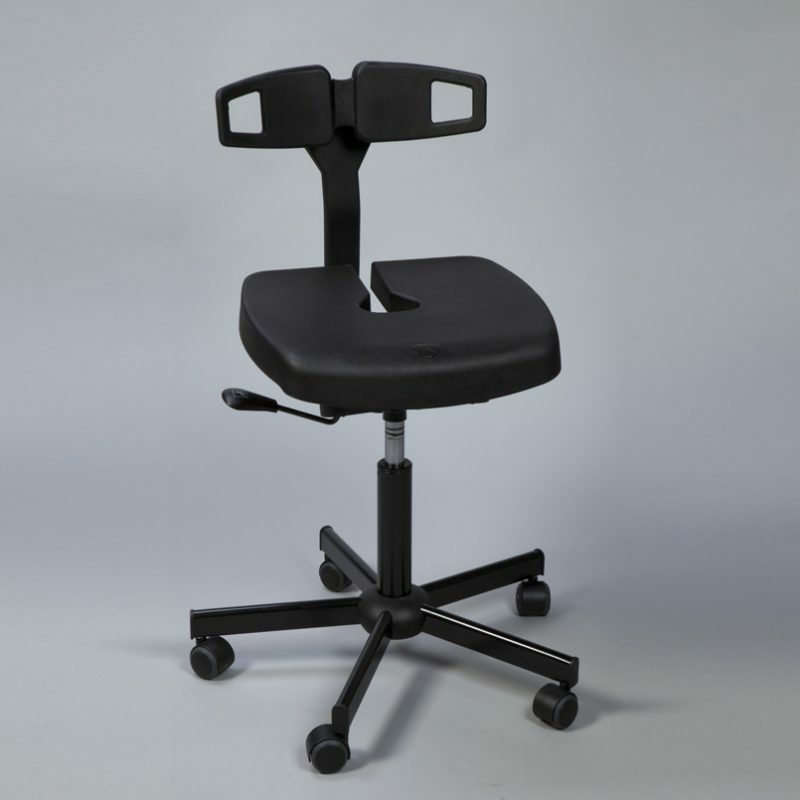 The orientation of the seat also facilitates upright posture and minimizes spinal stress. Unlike standard seat backs, the lumbar support helps find perfect posture immediately. Chair has a Black steel, five-leg, scuff-resistant, reinforced base with heavy-duty nylon casters. Gas-lift column with shock absorber adjusts from 20-1/16”H to 25-3/8”H. Seat height adjustment is the only manual adjustment; all other adjustments are intuitive. Soft polyurethane seat with easy-to-clean material resists sparks, sharp tools, chemicals and weak acids. Also inhibits moisture absorption.